Infrared image of the Large Magellanic Cloud (LMC) obtained with the Spitzer Space Telescope. top panel: comparing the spectrum Spitzer / IRS (line solid black) Star SSID 4486 and the theoretical spectrum of best fit of a star AGB 5 solar masses (continuous red line) wrapped by ~ 70% powder iron; green dashed line refers to the theoretical spectrum for the same model but iron powder. lower box: Artistic impression of a giant star ejecting AGB matter to the interstellar medium. Credit: Image LMC: Aladin-color Spitzer software; Artistic Image: Jaxa. 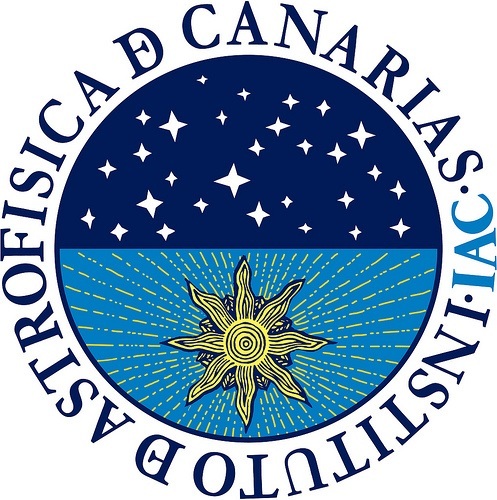 The Institute de Astrofísica (IAC) in a study presented by the discovery of a group of very poor stars metals and high fraction of iron powder, located in the LMC. To carry out this work have combined theoretical models of dust formation in circumstellar envelopes with infrared observations made with the Spitzer Space Telescope and predictions for the future James Webb Space Telescope. The stars with masses between one to eight times the mass of the Sun evolve through the asymptotic giant branch (AGB, the acronym ‘Asymptotic Giant Branch’) before ending their lives as white dwarfs. It is during this evolutionary, rapid but crucial phase, when the stars are expanded to gigantic proportions and cooled, losing almost all of its mass due to strong stellar winds. The low temperature and high density wind provide perfect conditions to favor the condensation of the powder grains in their circumstellar envelopes. The powder supplied by AGB stars in its stage the interstellar medium is key to the life of galaxies, as this is essential for the formation of new stars and planets element. Thus, characterizing the type of dust (organic solid compounds against inorganic) and the amount of dust produced by these giant stars is very interesting for the astronomical community. The journal The Astrophysical Journal Letters published today a study in which the mystery of a peculiar group of massive AGB stars, located in the Large Magellanic Cloud is resolved. Comparing infrared observations from the Spitzer Space Telescope (and predictions for the future James Webb Space Telescope) with theoretical models developed by this team have discovered that these stars have masses around 5 solar masses, formed about 100 million years ago and are poor metals (metals such as Fe, Mg and Si. Iron, magnesium and silicon). Unexpectedly, the team has found that their spectral energy distributions, in the infrared range, can only be reproduced if the iron powder is the main species of dust in their circumstellar envelopes. This situation is rare around AGB massive stars. It was previously known to produce mainly silicates. That is, powder grains rich in oxygen, magnesium and silicon. But this finding is even more surprising considering the metal – poor environment surrounding the stars studied. Under these particular conditions, the iron powder becomes the main component powder consisting of these stars. “This result represents an important theoretical confirmation for the formation of iron powder in poor environments metals, as evoked by independent observational evidence,” the IAC researcher Aníbal García Hernández, co-author and one of the founders of the fruitful collaboration between the IAC and Astronomico Osservatorio di Roma (INAF-OAR) for this type of study in giant stars in the AGB phase. “The arrival of the James Webb Space Telescope (JWST) will open new possibilities to investigate this case in depth,” says Flavia Dell’Agli, postdoctoral researcher at the IAC and second author of the article adds. “This future facility will greatly increase the number of AGB stars extragalactic resolved “and that the MIRI instrument that will be housed on the JWST will be” ideal to identify this class of stars in other galaxies in the Local Group “.